Joe needs a lot of proof today that he is, in fact, in his own home. So I showed him the large, framed wedding photo of he and Dot. I helped him to get dressed then and took him outside to show him the address on his mailbox. I pointed out that his family name was actually hanging from a hook above the front door. I was starting to run out of ideas, so I just redirected him back into the kitchen where Dot, and his breakfast, were waiting for him. 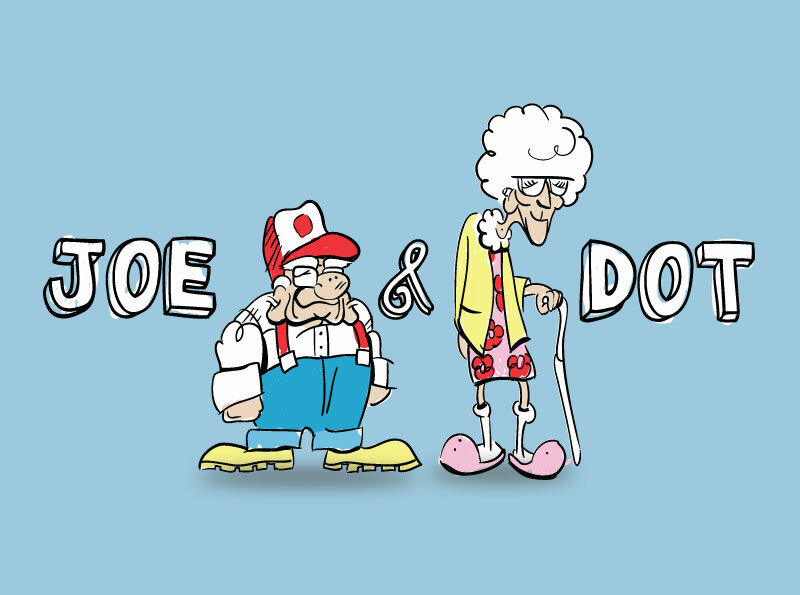 Joe walked through the door and he was very surprised to see Dot sitting there. I finally convinced Joe to sit down and start eating his breakfast. I poured him a hot cup of coffee and that’s when he noticed his favorite mug. This entry was posted in Hey Joe, Whatd'ya Know? and tagged Caregiver, Caregiving, Chevy, coffee, Comedy, cup of coffee, dementia, Dot, Elderly, Elderly Humor, Entertainment, Health Care, house, Humor, Joe, Marriage, Romance, Short Stories, spaceship, style by Whitney Button. Bookmark the permalink. Do you laugh all day?